We are so proud to announce that we have won the Angie’s List Super Service Award for 2014! This award honors excellence among service providers who maintain a superior service record. The award is only presented to less than 5% of thousands of businesses on Angie’s List! 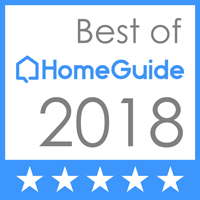 Members of Angie’s List often consider the award when making hiring decisions, and we are proud to be a part of this elite group!